The Hobbit, The Lord of the Rings, and Tolkien - The One Ring • View topic - A list, in order, of the most powerful characters in Middle-earth. I think treebeard should be placed a little higher. I mean, he is eldest, as Celeborn calls him. I don't think there is a rael definitive way of ranking these people. I think you should put them in groups, or tiers. It is interesting how Galadriel is, by most, considered more 'powerful' than Elrond. In 'Letters', when writing of how various individuals would have fared against Sauron if that individual had the One Ring, JRRT notes that Galadriel considered herself capable of defeating Sauron, and if she could so could certain others "especially Elrond" (no exact quote right now, no books, but a search of similar topics will have this quote posted by me). What is interesting about the statement is the "especially" Elrond. Could Elrond be "especially" capable because he is closely descended from Luthien (the greatest of all the Eldar) daughter of Melian the Maia, and thus has the blood of the 'gods' in him? Sauron<BR>Sauruman the White<BR>Gandalf the Grey<BR>Henry the Balrog<BR>Smaug<BR>Elrond<BR>Galadriel<BR>Glorfindel<BR>Witch King<BR>Shelob<BR><BR>I omitted Bombadil and Goldberry because I just don't think they could/should be ranked.<BR><BR>Elrond vs Galadriel - both had rings of power. Galadriel was a third generation Eldar and had lived in the undying lands in the light of the two trees. She also was the student of Melian. Elrond was younger, but arguably of greater lineage (the three fathers of the elves and the fathers of the three great houses of men, not too mention Melian the maia). He fought in the War of Wrath, was the student of Eonwe, herald of Manwe (arguably more powerful than Melian), and was the herald of Gil-Galad in the second age.<BR><BR>I wasn't sure where to put Shelob, but figured she should be on the list. Maybe Treebeard/Fangorn should take her place. Other characters/creatures, like the watcher in the water, blue wizards, etc... would be purely speculative since I don't have any real info on them. It specifically said somewhere (I think in the Silmarillion) that with the fall of Gil-Galad, Galadriel became the most powerful Elf on Middle Earth. When it comes to Galadriel, remember who her father was (Feanor) and what he accomplished. Also remember that she alone of the Eldar in Middle Earth at the end of the Third Age has seen the light of the trees of Valinor with her own eyes***. That alone grants a kind of power, especailly over Morgoth and his servants.<BR><BR>It can be argued that a few others (Elrond, certainly, but perhaps Cirdan as well) are perhaps more powerful. And when judging being of this stature, they are all pretty much in a class by themselves.<BR><BR>***The only exception might possibly be Glorfindel. If he is indeed the same Glorfindel that was killed in the fall of Gondolin by a Balrog, and has since returned from the Halls of Mandos to again walk Middle Earth, then it is possible that he has seen the light of the trees. But there is nothing to indicate that he was alive and on Valinor when before Ungoliant destroyed the trees and drank the pools. Whoops, you are completely correct FT. Not sure why I was thinking Feanor. Ah well. The rest of it still stands, however. Thanks for the correction (and politely, too. That's refreshing). Tar-Elenion<BR><BR>Concerning Elrond's power, certainly his heritage has a large role to play. Also, he was raised by Maglor after his capture by aforesaid at the destruction of the Sirion population. 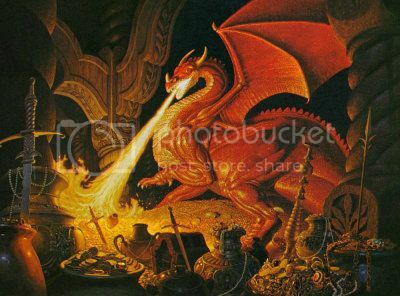 <BR><BR>Maglor was quite powerful in his own way, being a son of Feanor, and so would have made an excellent study for Elrond as he was growing towards his maturity and power.<BR><BR>Following defeat of Morgoth by the hosts of Valinor, Elrond was "enhanced" by Veronwe after chosing the fate of the Eldar, so this too would have increased his wisdom, lore and power. I loved them from the Silm. Water Powers ( ocean, lake, stream, brook ) always remaining an influence in Middle Earth. Surprised no one mentioned the ruling steward of Gondor. He at least ought to trump the Prince of Dol Amroth. Edit. Oops someone did. Didn't read it properly. Then depending on what is meant by 'power' it's worth noting that Gollum possessed a ring making the the most powerfull of Gollums. Also at the time the Corsairs at Umbar must have been a force to reckon with. Enought that Aragorn led a whole fleet down there to deal with them a few years later. Don't have any name of their chief though. Not a mention here of Mirkwood Forrest. Very powerful. Top three most powerful: Eru, Melkor, and Manwë. Hm, this has been very difficult to consider, but here is my list; take it as you will. Also worth noting this is for characters in tLotR, chronologically at the beginning of tFotR. TheGreenWizard wrote: Hm, this has been very difficult to consider, but here is my list; take it as you will. Also worth noting this is for characters in tLotR, chronologically at the beginning of tFotR. I agree with you except Treebeard should be below the Balrog since it was actually a Maia essentially a lesser power (god). Also Gandalf should be higher since Ben though he's in human form he is still a Maia too.